Welcome NSA & Juice Plus Distributors. 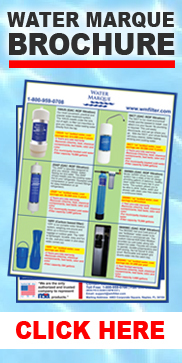 Effective January 2008, NSA turned over the water and air filtration program to Water Marque, Inc. and WM Filter. NSA decided to focus primarily on Juice Plus. Water Marque, WM Filter has worked closely with NSA for the past 25 years and are the Official Replacement Center for all NSA water and air filter products. Effective immediately, ALL Juice Plus+ Representatives will receive wholesale pricing for all NSA Water and Air replacement units or any new environmental friendly products!! Be Eco-Friendly and Go Green. To Login, please fill in your information below and a Water Marque representative will approve your wholesaler information within 1 business day.